Are you confused about the history of the 'old' WFF program and the 'new' WWFF program ? Confused about the name similarities, various logos and various Yahoo groups, etc ? Well, you are probably not on your own. It appears that many people are. So here I will try my best to explain the history of the two program/s, and sadly some of the personal politics that have been involved in what should be exclusively a FUN amateur radio activity. I might add that one European amateur has already accused me of being a 'bad historian'. And at least one other has encouraged me not to print the historical info of WFF / WWFF as it may put the program in a bad light. I disagree ! I am constantly asked about the history of the 2 programs and there definitely appears to be a lot of confusion. It is clear that the behaviour of a number of amateurs along the way has not been admirable. This is very disappointing, but lets learn from this so that the same mistakes are not made again. The famous Chinese philosopher, Confucius said…..
And Spanish/American philosopher George Santayana said…..
All of the information below has been taken directly off various websites related to both programs (WFF & WWFF). This includes archived websites which can no longer be found on the web. Sadly many people who I contacted either did not wish to get involved and make a comment, or did not even bother to reply to e-mails. The "Flora and Fauna" movement within amateur radio was initiated by the Russian Robinson Club (RRC) in 2008, as World Flora and Fauna, abbreviated as WFF (WFF). The website is in Russian, however it can be translated into English during the Google search. However, to confuse issues, there is another website…. …..which lists Valery, RW3GW as the RRC President (see below). It appears that the second website is the 'old' RRC site, and does not appear to have been updated since 2008. The first website 9robinsons.ru), was updated in December, 2013 and appears to be the current website for RRC. Despite numerous e-mails to the RRC Committee, and also to Valery RW3GW, I have not received a single reply to clarify this issue. Commencement of the WFF program….. The World Flora Fauna (WFF) program was launched on 1st July, 2008 by the then RRC President, Valery RW3GW. It was timed to coincide with the United National General Assembly declared 'International Year of Planet Earth'. The UN declared 2008 as the International Year of Planet Earth to increase awareness of the importance of Earth sciences for the achievement of sustainable development. National Parks and Nature Reserves were chosen as the qualifying parks for the WFF program. The original WFF Rules state…..
"The Programme was launched in 2008 under the auspices of International Tourist/DX Association 'National Card' and RRC". The original Rules also show that the WFF Committee was a…..
"Subsidiary of the International Tourist/DX Association 'National Card'". What is National Card ? 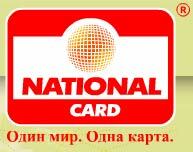 National Card (NC) is a member of the Russian Union of Travel Industry. The NC website states that its 'Mission' is…..
Promote the development of business and cultural ties between the states and the people. Promote the creation of the image of Russia as a full and reliable business partner, attractive in terms of developing international business relations, cultural heritage and tourism potential for foreign, inbound and domestic tourism. Create a favorable system of hospitality in the network NC, conforming to international standards of quality. The main purpose of the company "National Map" in the field of quality is meeting the needs of partners and customers for high quality tourism and other services, in full compliance with the requirements and needs of the traveler and provide ready-made integrated solutions on a plastic platform system NC. More information can be found on the website…..
Operation by amateurs operating portable from parks was well & truly in swing prior to the commencement of the WFF program. It was not a new phenomena. New Zealand National Parks Award (running since 1988). Portuguese CT Fauna & Flora Award (became 'Natural Parks and Reserves Award' (DPRN). In Australia, the Keith Roget Memorial National Parks Award (formerly known as the Victorian National Parks Award) had been running since c. 1970, and continues to this day to be a very popular award. And the New South Wales National Parks Award commenced on 1st January, 1988. In c. July, 2008, a WFF website was created. This was initially located at…..
Then in c.August 2008 - c. February 2011, the following site was used by WFF…..
And at some subsequent time (c. February 2011), the following site was used…..
At the commencement of the WFF program, a Committee was established. The original rules state…..
"Chairman of the WFF Committee and the Committee Members are to be approved by the Management of the WFF Programme". Archived records of the old WFF website (wff.qrz.ru) in 2008, show the following …..
Management of the WFF Programme. Foreign Authorized Representatives of WFF. I have e-mailed all of these people and not received a single reply. The term 'Lets Save the Green Planet Earth' was initiated as the slogan for the WFF program. Operators were encouraged whilst having a QSO with a WFF expedition, to transmit two figures…..'44'. This meant 'Forty Four - Flora Fauna' and was interpreted as the slogan for WFF. The first digit '4' represents the four elements: earth, water, air, and fire. The second digit '4' represents the four directions: north, south, west, & east. To this day, you will still hear operators using '44'. A WFF logo was introduced. This featured a butterfly with the words 'World Flora Fauna WFF'. The Directory was split into 8 regions: Africa, Antarctica, the Arctic, Asia, Europe, North America, South America, and Oceania. As already mentioned, the only condition for listing is an official status of National Park or Nature Reserve. During these early years, it was recommended that the basic operating frequency was 14.244 mhz on 20m (Forty Four-Flora Fauna). Other frequencies on the other bands also suggested the incorporation of 44, e.g. 21.244, 28.444, etc. The wff44.com website shows the following partners to the WFF program….. It also shows the following Information Partners…..
QTC - The Polish Radioamateurs Journal. A Log Search facility was established which was maintained by Igor, EW4DX. The Awards were issued for…..
'established contacts (QSO/SWL) with 100/200/300/400/500 /600/700/800/900/1000, etc, different National Parks or Nature Reserves throughout the world'. They were issued by Valery, RW3GW. The certificates reflected that he was the 'Director and Originator of the WFF Programme, WFF Award manager, President of the Russian Robinson Club' and 'President of the WFF Foundation'. Some of the certificates were also signed by Igor EW4DX who was described as the 'Chief of the WFF Program'. The Awards were issued in various Classes. Applications for the Awards could be made either via e-mail or by a hard copy application (form available on the WFF website). Applicants were required to submit original QSL's or copies, or an abstract from the original log. The applications could be verified by the Regional Award Manager of WFF, or with an Authorized Representative of WFF. It appears that these certificates were being issued as late as February, 2011. The cost of certificates for foreign hams (EU & DX) was 10 IRC's or 15 Euro. The cost for CIS hams was 6 IRC's or 6 Euro. The cost for Russian hams was the same. Discounts applied if applicants were supporters of the WFF Foundation. An event called the 2008 WFF Activity Week was held between 2nd - 8th July, 2008, in colaboration with the worldwide program for Nature Reserves and National Parks of International Tourist/DX Association 'National Card', and the Russian Robinson Club. The WFF Committee welcomed amateurs to take part in what they described as a 'Global Activity Week' from their homes or the National Parks and Nature Reserves listed in the WFF List. Countries participating in the Activity Week were Moldova, Russia, Portugal, Germany, and the Czech Republic. Other than this event, other annual 'Days of Activity' included…..
March 20th…..Global Day for Protection of the Earth. An archived (July, 2008) version of the wff.44.com website shows the structure of WFF as follows…..
Victor RZ3DSD……….President of the WFF of the programme. Mike UA1QV……….Chairman WFF of Committee. I have not been able to establish why the WFF structure had changed within a one month period. There were some notable changes…..
Viktor RZ3DSD had been appointed the President of WFF. Andy RW9WA had been appointed as a member of the WFF Committee. Eugeny RZ3EC was no longer a Regional WFF Representative. The following had been appointed as WFF International representatives…..
Alan ZL3GX was no longer listed as a Foreign Authorised representative. The following had been appointed as WFF Coordinators…..
Bill VK4FW was the President of the Oceania Amateur Radio DX Group at this time. In August, 2008, Ric DL2VFR was also included as a WFF International authorised representative. On or around, January 2nd, 2009, a Yahoo Group 'World Flora Fauna Program' was initiated. The owner of this group is Valery, RW3GW. Initially this group was almost exclusively in the Russian language, with the vast majority of members being Russian amateurs. It was not until August & September, 2010, that regular messages in English appeared. (This Yahoo group is still in use today. However. It is recommended that the WWFF Forum be used and not this Yahoo group site). New WFF International authorised reps…..
By March, 2009, Serge ER3GS from Moldova, and Malik 4X4JU from Israel, had become WFF International authorised representatives. In early 2009, Ric DL2VFR, initiated the German DLFF Diploma (DL Flora & Fauna). On the 22nd to 23rd August, 2009, the WFF International Contest was held. In October, 2009, Hungarian radio amateurs joined in the WFF activities with an activation under the special call of HG0WFF operated by the Regionalis Radios Sportklub Puspokladany. The wff44.com website in April, 2010, shows the structure of WFF as follows….. The website also shows that the following listed as WFF International authorised representatives…..
And the following were shown as Coordinators…..
WFF Greenday 2010 was held on the 12th & 13th June, 2010. Valery RW3GW described it as…..
"The radio amateurs of the whole world are invited to join us by having QSOs with radio stations working from territories of the national natural parks and reserves of the world - Especially Protected Nature Territories (EPNT) - included into the WFF Directory". On 1st February, 2011, Valery RW3GW announced that there were proposed changes to the WFF system and that as of 1 March, 2011, there would be new WFF Diplomas and new WFF plaques. By February, 2011, the new website was in use…..
By early 2011, the International WFF Foundation had been established. The WFF website in February 2011, described the Foundation as…..
"The primary goal of WFF Fund is a technical and financial support of radio-expeditions to national parks and the reserves of the world, included in the list of WFF program." It was advertised that any radio amateur, SWL, any organisation which supports the purposes and problems of WFF, can become a member of the International WFF Foundation. "Each member of the International WFF Foundation has the right to offer a great sum which will be publicly specified in the list of International WFF Foundation members. The International WFF Foundation Member certificate is sent to each member in acknowledgement." By 2011, the Foundation was being referred to as the WFF Foundation/Green Supporters Fund. Membership to the Foundation / Fund had been changed and involved the following…. -voluntary monthly ondation - 100 Euro/month. A WFF reference list that I acquired (dated July, 2010) shows that there were over 2,900 qualifying WFF areas in the WFF program in over 60 countries. During 2011, a number of other awards were introduced. They included….. In mid 2011, allegations were subsequently levelled at Valery RW3GW, that amateurs were forwarding money for WFF Awards but not receiving any certificates & plaques for WFF awards, nor such documents as life time membership certificates. In fact some amateurs had been waiting for periods of up to 18 months. It should be noted that the various National WFF programs were functioning well, and the various National award certificates were being issued. In late 2011, a decision was made at the RRC Conference that Valery, RW3GW be excluded from RRC membership, 'until all the financial requests to WFF are successfully fulfilled'. This was beginning of the end of the 'old' WFF program. Despite the controversy, WFF activations continued with the enthusiasm of a large group of amateurs who wanted to see the Flora & Fauna progam survive. Suggestions were made for the survival of the program including renaming the WFF program. This included Global Flora & Fauna. However, despite all the disquiet about certificates & plaques not being received, Valery RW3GW continued in his role as President of WFF. In early April, 2012, it was announced by Valery RW3GW, that a new WFF Committee had been formed. Interestingly, it was Valery that 'proposed' and confirmed the majority of the WFF Committee. The Committee consisted of the representatives from participating countries (not all)…..
Fauna(following to these rules of WFF program). 2. Updating the WFF Directory Refereces once a month. etc)of all the WFF News. often happens in the country). 8. The direct subordination of the President of the Fund WFF. In mid April, 2012, Charles M0OXO (GFF representative) ceased his involvement with WFF. His position was superseded by Andrew M6ADB. The Foundation of a new program….. Behind the scenes there were moves in place to create a new Flora and Fauna program. On c. 8th July, 2012, the Yahoo Group "WFF Committee" was launched by Steen, 5P0O. Interestingly, there was no mention of this Yahoo group on the Yahoo group run by Valery RW3GW, despite the fact that Steen continued to post messages there. In late July, 2012, Peter, ON2WAB, ceased his involvement with the WFF program. "I finished all cooperation with so-called WFF Fund and with Valery, RW3GW…." Igor proposed the creation of a new Committee and a newly named program. His suggestion was Flora Fauna International. Other names were floated including National Flora Fauna, Flora Fauna Radio, International Flora Fauna Association, National Flora Fauna Association, DX Flora Fauna, Worldwide Flora Fauna Community, Radio Flora Fauna Community, HAMS Flora Fauna. It was at this time that Igor ceased his involvement with the LogSearch facility. Valery RW3GW accounted a Green Log Search. In August 2012, Ric DL2VFR, removed all WFF logos and reference to WFF from the DLFF Award website. Also in August, 2012, Kent SM5ELV advised that SMFF would support the new Flora Fauna program. In September, 2012, Steen 5P0O (OZFF co-ordinator), and Jakob OZ7AEI (OZFF Award Manager) ceased their involvement with the WFF program. In September, 2012, Oleg UN7ECA ceased his involvement with the WFF Commtitee. In September, 20112, Bosko YU3A also ceased his involvement with the WFF Committee. It was also at this time that DL4BBH and DL2VFR also ceased their involvement with WFF. Allegiance was pledged to him by Laci HA0HW, and Araasu VU2UR. In October, 2012, Andrew M6ADB, announced the withdrawal of GFF from the WFF program. It was again at this time that new name suggestions were made, including World Nature Reserves (WNR). Valery RW3GW proclaimed that 'WFF lives and will live'. In mid October, 2012 it was announced by Max IK1GPG, that the WFF Committee had been terminated. The following people held positions as officials within WFF at the time of its 'demise' (this is not to suggest they had any involvement - in fact many went on to the new WWFF program)….. Following programs have not answered or are staying in the old program. A new Flora & Fauna program is born….. In November, 2012, the Flora and Fauna program was officially relaunched as WorldWide Flora and Fauna, abbreviated as WWFF (WWFF). A poll question had been initiated on the WFF Committee Yahoo group, with a number of names being suggested for the new program. Below are the results….. The original Chairman of the newly formed WWFF was Lars PH0NO. The Vice-chairman was Max IK1GPG. The WWFF program is run by the Chairman an Vice-chairman elected by the National co-ordinators of the member countries (the WWFF Council). The following officials help in the running of the WWFF program…..
Friedrich DL4BBH…..Operations Approval Manager for countries without National FF representation. As you can see, some of these people were previously involved with WFF, and have continued to perform functions within the new WWFF program. After much debate, a logo for the newly formed WWFF was designed by Pit, YO3FW. It features a globe of the earth with a radio tower. The website for WWFF (which was established in November, 2012 by Lars PH0NO) can be located at…..
'Global' awards were not issued at this time of the WWFF program. However awards were issued by the individual participating National member countries. On the 6th November, 2012, Version 1.1 of the Rules was released. This included all references to WFF and awards being removed. On the 26th November, 2012, Version 2 of the Rules was released. On the 3rd December, 2012, Version 2.1 of the Rules was released. On the 29th December, 2012, Version 3. of the Rules was released. On the 14th January, 2013, Version 3.1 of the Rules was released. Due to personal disagreements, Igor EW4DX, ceased any involvement with the new WWFF program. Igor stated…..
"…I don't consider it necessary to continue the work. I do not like many things in new WWFF program…." Negotiations were made between Andrew M6ADB and Igor, for the contents of the LogSearch database. Sadly, Igor declined to co-operate and refused to provide any information from the LogSearch program. In early February, 2013, Boris UT7UT (URFF Manager) joined the WWFF program. This was followed by Valery YL2SW, Ingus YL2TW, & Ervins YL2CQ. Andrew M6ADB was instrumental in establishing the new WWFF LogSearch facility. This commenced on February 16th, 2013. The WFF log commenced by Igor EW4DX was no longer being maintained, and this was the reason for Andrew creating the new LogSearch facility. Sadly Igor would not assist in providing historical data from that log, so a huge amount of work went into tracking down activator to re load their logs into the new database. Work continues to collect historic logs by local co-ordinators, so that they can be uploaded onto the database. A WWFF Forum was also initiated in February, 2013. Petr, OK1IN & Andrew M6ADB are the Administrators of the forum. So how did Australia become involved in WWFF ??? In February / March, 2013, Paul VK5PAS began to activate South Australian summits as part of the Summits on the Air (SOTA) program. He also commenced work on an awards program which encouraged portable operation from South Australia's National Parks and Conservation Parks. Paul had worked various 'WFF activators' from Europe in the past, so he was aware of the WFF program. He wanted to consolidate a list of South Australian SOTA peaks, VK5 National Parks, and VK5 Conservation Parks, with parks that were in the WFF program in South Australia. However the WFF Directory was not broken down into separate Australian States, and this made the process difficult. E-mails were sent to WFF officials to establish if there was a list which was separated into the different Australian States. Sadly there was not a single reply to a number of e-mails. Contact was then made with Paul's QSL Manager, Charles M0OXO, as it was revealed that Charles was previously the English rep for WFF. It was established from Charles at this time, that the WFF program was no longer running, and that a new program had commenced. Paul VK5PAS then made contact with Andrew M6ADB, Steen 5P0O, & Lars PH0NO, who were all involved in the new WWFF program. In March, 2013, Paul VK5PAS, officially became the Australian co-ordinator for the new WWFF program. Only through a series of e-mails was it uncovered that Bill VK4FW had previously been the Australian representative for the old WFF program. A set of rules specific to Australian activations was drafted & released. This included the reduction in required QSO's for an activation from 44 to 10. This was due to Australia's geographical situation & demographics. The Australian WWFF (VKFF) website was created at this time. Additionally a series of certificates were offered for operating from / contacting Australian parks on the WWFF list. Peter VK3ZPF was the first Australian operator to apply for the Activator Award. Ron VK3AFW was the first Australian operator to apply for the Hunter award. The WWFF program continued to expand during this period, and in February, 2013, Portugal, Latvia, Estonia, and Ukraine joined WWFF. On the 3rd March, 2013, Version 4.0 of the Rules was released. It was updated due to Igor EW4DX ceasing involvement with WWFF.In March, 2013, Bulgaria and Spain joined the WWFF community. In March, 2013, Boris LZ2JR joined the WWFF program. In early April, 2013, the name of the WFF Committee Yahoo group was changed to WWFF Council. In late April, 2013, a WWFF Facebook page was launched. There are currently 61 members of the group. In May, 2013, a logo / emblem was designed for VKFF (Australia). It consists of a Western Grey kangaroo with the WWFF global emblem, and a map of Australia superimposed with the Australian flag. In May, 2013, Lars PH0NO and Max IK1GPG were voted in as WWFF Chairman and Vice-chairman, respectively. Lars briefly stood down as the Chairman, but returned to the position in June, 2013. In September, 2013, a Constitution was released for the WFF program. This was an important step forward for WWFF, as prior to this WWFF lacked significant direction. As the Constitution states…..
"It holds the most important rules that govern the way WWFF organisation operates". The Constitution confirmed that the correct name regarding the running of the WWFF program was 'Council of the World Wide Flora and Fauna program'. It stated…..
"The Council is a representation of the national Flora and Fauna programs that support th WWFF program. For each participating country in WWFF up to two members can join …"
End of the Council Yahoo group…..
At the end of August 2013 it was announced by Lars PH0NO, that the WWFF Council Yahoo Group would close. The group was closed on 1st September, 2013. Official communications were transferred to the WWFF Forum. A new WWFF Awards program is born…. In late October, 2013, WWFF announced a new global ham radio award program based on the WWFF LogSearch database. There are two awards on offer - one for Hunters, and one for Activators. The WWFF Hunter Award starts at 44 WWFF references with upgraded steps of 44, up to 444 WWFF references, and then steps of 100. A 'Novice' award has been added, especially for new Hunters of the WWFF program. The WWFF Activator Award commenced at 11 references and has upgraded steps of 11 references. There are plans to expand the award program in the future, adding awards for special categories for both Hunters and Activators. WWFF becoming a popular program…..
As of 12th December, 2013, there are 35 participating countries in the WWFF program. The following National Flora & Fauna programs take part in the WWFF program…..
As of 12th December, 2013, there were 3,289,515 QSO's in the new WWFF Log Search database, from 4,072 different references around the world. In February 2016 the new WWFF website was launched. On 10th November 2016 it was announced on the wwff.co website by Luk ON4BB, the WWFF Chairman, that Version 5.0 of the WWFF global rules had been completed and would come into effect as of 1st December 2016. It was advised that old rules such as 2 hours between activities and 2 hour duration of an activation were deleted, making the WWFF program much simpler. Version 5.0 of the WWFF Global rules became valid as of 1st December 2016. On the 17th January 2017 it was announced on the wwff.co website that the WWFF program was seeking persons to fill six elected positions as Continental Representatives for North America, South America, Oceania, Europe, Africa, and Asia.It was also announced that WWFF was seeking a Chairman. So, as you can see, WFF & WWFF have had interesting histories. 1. Please do not use the WFF Yahoo Group. The appropriate place to record information, comments, and intended activations is the WWFF Forum or the Facebook page. If in Australia, you can also place your intended activations on the WWFFAustralia Yahoo Group. 2. Please refer to the program as WWFF and not WFF. Yes, I know that similarities in the names of the programs are confusing. 3. Please, submit your log via e-mail (in ADIF format) to VK5PAS by e-mail if you have activated a VKFF area. 4. If you know of anyone who has activated a VKFF area, please explain the WWFF program to them, and ask them to submit their log to VK5PAS, so that it can be uploaded to the database. 5. If you do spot someone on the cluster, please use the current reference of WWFF and not WFF.